Simplify disposal of paper shreds with a 31-gallon paper bag. 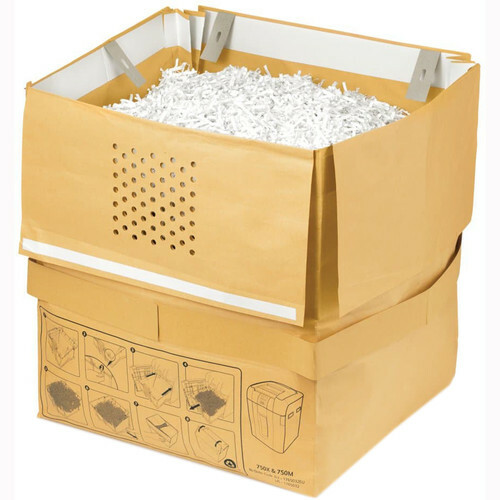 The durable bag fits snugly inside the shredder bin. Bags are 100% recyclable so you can send the entire bag, with shreds, to your recycling center when it is full.